What Do Macs and PC Have In Common? Hint. It doesn’t matter your preference of operating system. It doesn't matter which ranks first in usability or how many awards they've received, both utilize data and data must be stored somewhere (server, hard drive, RAID, cloud) in order for the system to operate. If you're a Mac user and have suffered lost or corrupted data, we are specialists in Mac data recovery in the London area and are happy to speak with you (Toll Free - No Cost) to outline your options. Our task at www.London-DataRecovery.co.uk isn't to choose which system is best, rather to recover your data, no matter your system of choice. We don't debate on which system is best, instead we strive to use every means available to recover your data quickly, completely and in a cost effective manner. How Does Mac Data Recovery Work? Here's one area where there is a vast difference in Macs and PCs, the do-it-yourself fix. In a word.. DON'T. Why? Macs (unlike most PCs) require specialized tools and training, not a hobbyist who may have the best intentions, but lacks the training to diagnose (and correct) the problem. If you want your data recovered (and of course you do) then you must speak with a team who has dedicated themselves (we have 30+ years of combined experience) in Mac data recovery. Our success rate is un-paralleled and if your data can be recovered (statistics show that in most cases it can) then we're only a phone call away and can address your Mac data recovery issues in a friendly, courteous manner. Give us a call or fill out our form and let us put your mind at ease. At the heart of our company we have a motto.. Provide OUTSTANDING customer service and go the 'extra mile' to ensure a successful outcome while also providing excellent pricing. This motto has served us and our customers extremely well for years; let us prove it to you with..
1. A trained and certified team who are customer driven and success oriented. It doesn't matter the size of your system, we can speak equally well with the home user or network administrator. 2. A facility that meets or exceeds industry standards and a certified team that treats your data as if it were our own (while maintaining privacy and security). Our goal is to complete your job successfully and have another satisfied customer. It's your data - It's our reputation. You will be informed on any updates either by email or personal phone call. 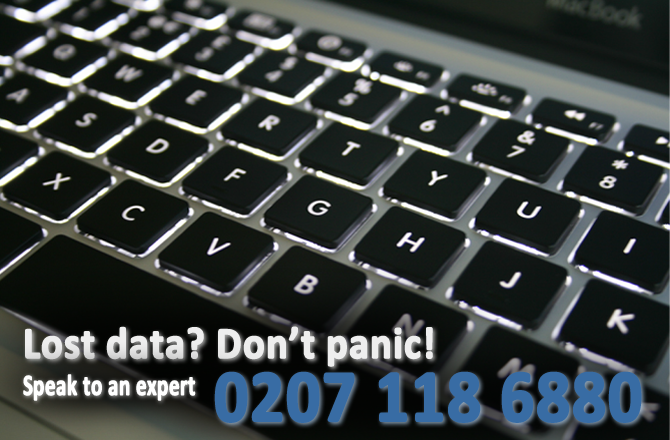 You can also call our dedicated London Mac recovery support number on 0207 118 6880 if you have any questions.